From left, Nick Lewin, Paul Krieger and Ed Kim of Krieger Kim & Lewin. Photo by David Lubarsky. 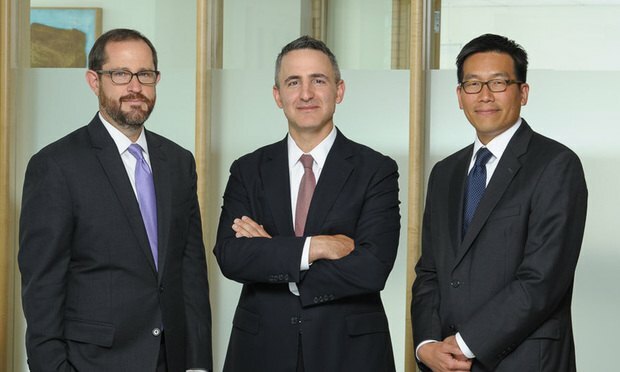 Three former federal prosecutors who left the Southern District U.S. Attorney’s Office last month have launched their own firm, Krieger Kim & Lewin, to focus on offering services for government enforcement, investigations, commercial litigation and cybersecurity.